The red variety comes from Greece; and indeed of islands in the eastern Aegean, Synonyms are Amorgiano, Amorghiano, Dombrena Mavri, Dover Mavri, Doubraina Mavri, Doubrena Mavri, Doumbrena Mavri, Doumpraina Mavri, Doumprena Mavri, Doympraina Mavre, Doympraina Mavro, K'ntoura Kai M'ntoura, Kontoura, Koudouro, Koutoura, Koutouro, Koundoura Mavri, Koundouro, Kountoura, Kountoura Mavri, Koyntoura, Kytoura, Mandelaria, Mantilari, Mantilaria and Montoyra. The parentage is unknown. According to DNA analysis is the white variety Savatiano (Kountoura Aspri) no color mutation, as suggested by the synonym Kountoura Mavri. 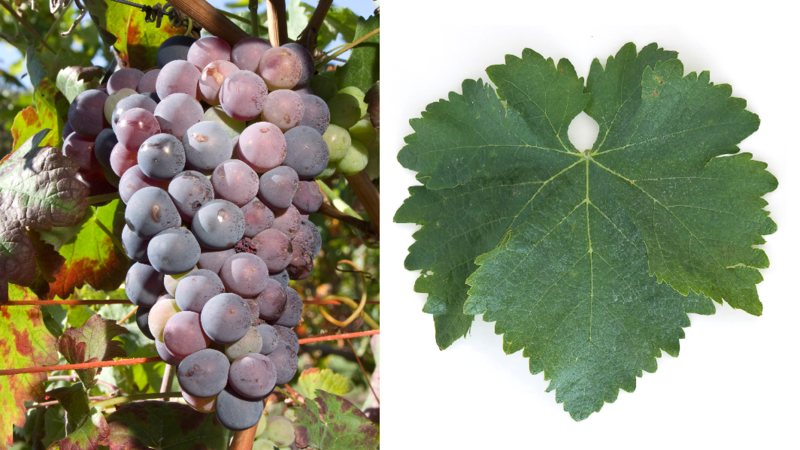 The late-ripening vine is resistant to drought and drought, but prone to wrong mildew. Botrytis and bunch rot, It produces dark-colored, tannin-rich, but rather low-alcohol red wines, which therefore often with the alcohol-rich variety Kotsifali be blended. It is mainly found on the Aegean islands Crete. Paros. Rhodes and Santorini also in some OPAP wines, as well as on the Peloponnese and in the regions Attica and Macedonia grown. It finds a pure use for the red wine version of the Harz wine Retsina, In 2010, 885 hectares were recorded with a strong downward trend (in 2000 it was 1,600 hectares). This page was last modified at 8 August 2018 at 20:18.